Aww. I wasn't even a mother yet when I wrote this paper! It's from my philosophy 215: Logic course with Dr. William Myers at the then College of St Catherine in St Paul. It's almost like reading someone else's work. Of course, I was a different person then! Since my weakest skill throughout the summer session of Logic was the translation of everyday sentences into symbolic notation, I wanted to do some research into the work of logicians in order to see how they do their work. In Maurice A Finocchiaro's work, Galileo and the Art of Reasoning, I found two master logicians, whose work was far beyond my skill as a logician. However, the primary work in the book is quite interesting, and since we are limited in the amount of space for this paper, I decided to go ahead and write what I learned about Galileo from Finocchiaro. Galileo published the Dialogue Concerning the Two Chief World Systems in 1632. This book caused one of the "greatest scandals in Christendom" (Finocchiaro xvi), namely the prosecution of Galileo by the Inquisition. In the Dialogue there are three characters, Simplicio the Aristotelian, Salviati, and Sangredo, who are discussing the merit of the Copernican ideas. However, the book is not a defense of the system, but only of the Copernican idea that "the earth moves" (44). Galileo was trying to convince the church that the Copernican ideas were acceptable so that they would repeal the condemnation of 1616 (1). Galileo was more than a scientist; he was a "logician-in-action" and Finocchiaro calls him "first and foremost a logician" (44). The Dialogue has a logical structure. The entire work is structured so that the idea that "the earth moves" is in the conclusion of the argument presented throughout the book (167). Within the argument designed to show that the earth moves are critiques of the geostatic arguments. It is those arguments with which Finocchiaro is most concerned. The critiques are structured so that it can be proven that "there is no real evidence against the earth's motion" (29), thus proving that the earth moves. This main argument, which provides the framework for the Dialogue, is more complex and includes the statement that while there is no real evidence or sound reasons against the earth's motion, there is evidence that the earth does move (29). 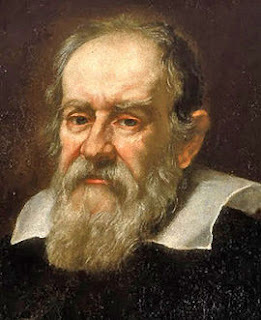 Galileo was attempting "by verbal means and techniques to induce or increase adherence to Copernicanism (22), or at least to the main tenant of Copernicanism as discussed above. He presents the material in three ways: logical, philosophical, and rhetorical. The presentation, analysis, and evaluation of the evidence and arguments for and against Copernicanism are presented logically. The discussions and clarification of the epistemological and methodogical concepts is philosophical. The rhetoric in the Dialogue is used to show Coperinicanism in the best possible light, while discrediting Aristotelian (geocentric) ideas (23). The rhetoric is very emotionally charged. The speakers are very passionate about their positions and resort to trickery in order to win the argument (1). However, the rhetoric is intrinsically tied to logic in that one is not possible without the other. Finocchiaro devotes a very long, but interesting chapter to this claim, all of which I unfortunately could not understand. The final argument of the Dialogue is one that was added to appease the censors. Galileo did not like having to add the argument, which can be discovered by looking at the argument more closely. The final argument has value for a student of logic because it is not per se a foolish argument, although at first glance it seems that it is foolish. The argument is presented by Simplicio, and least intelligent or fool of the three speakers. Salviati does not agree wholeheartedly with the argument, but is casual and unwilling. According to the reactions of the characters, ought we automatically to assume that the argument has no merit (8-9)? The argument stated by Simplicio says that the tides move because the earth moves and God could create tides many other ways, but according to other evidence, the most non-contradictory manner for God to do so is by having the earth move (8). If Simplicio is giving a good argument, then his intelligence appreciates to the reader, who may then see that his Aristotelian stance throughout the Dialogue is as devil's advocate more than as a simpleton (8). Finocchiaro says that the argument is unanswerable because of the way Galileo presents it (discussed below). Many scholars agree that the argument is very powerful. Augusutinus Oregius writes about the final argument in a report he was asked to write by the Inquisition on Galileo's Dialogue in 1629. He writes that in a discussion between Galileo and Pope Urban VIII, the pope agreed with what Galileo set forth, but asked if Galileo thought it was possible that God could arrange the things in the heavens differently to make different things happen. Galileo responded that if one denies that God can do so, then one must prove that for things to happen differently than presented implies a contradiction, and God can do anything, except that which is a contradiction. The reason that the argument is powerful is that it presents Galileo's theories in the religious voice, making it acceptable to the people of the period though unacceptable to Galileo himself since he thought that the material presented in the final argument was already clearly presented four other times in the Dialogue (10). If the earth moves, a body thrown vertically cannot fall vertically. The body is seen to fall vertically. Therefore the earth does not move. Galileo does not like the argument because it begs the question, or is circular. By studying begging the question, says Finocchiaro, one can begin to see the difference between formal logic and rhetoric, but also the tie between them (277). He also says something which I did not understand, but must include because his theory rests on the statement. He says that begging the question is unobjectionable from the point of view of formal logic, but is "necessarily faulty for inducing/increasing assent," or induction (276). Finocchiaro goes through twenty steps to show that the argument is begging the question because (2) is dependent on (3). I think that the reasons he says it is acceptable in formal logic is that the argument is formally correct according to what I learned in class, but that it is faulty because the "knowledge of the premise derives from the conclusion, which is supposedly unknown" (280). Professor's Note: This is the key. I found the argument very interesting, and it helped me to see the reason for learning translation. I spent time trying to translate it myself, but failed. Finocchiaro translates the argument in Chapter Twelve, but he does not give reasons like we did for our proofs. However, I could sometimes see how one step led to another according to the eighteen rules that we learned. I wanted to include the proof, but am out of space. Professor's Note: Oh, come on! The problem I had with the book was that the author assumed that the reader had also read the Dialogue, which I have not, so I had a hard time getting entire arguments together since he only implied certain things. Finocchiaro discussed reasons why the study of logic is important, and also why more people are not doing it (Chapter Eleven). I agreed with some of the points, or objections to doing formal logic, such as "How often can formal logic be used in everyday life? ", "Isn't this an artificial way of reasoning? ", and most importantly, "How often and when can I really use it?" The author discusses these objections, and makes an interesting and humorous statement: "The encoding step is usually as debatable as the original problem" (256), which we know from class! Professor's Note: Yes! As a first time student of logic, I enjoyed the book and would like to go on in logic so I can understand the entire book. Finocchiaro, Maurice A. Galileo and the Art of Reasoning, Vol. 61. Dordrect, Holland: D. Reidel Publishing Company, 1980. That woman is the same one my husband is trying to assert was mentally incapable of making the decision to marry. He could be right, actually. Marrying him forced me to leave behind this world of thinking and multi-syllabic words for the duration of the marriage.